Despite North Korea saying it was successful, White House press secretary Josh Earnest said Wednesday that early analysis was "inconsistent" with the claims that North Korea carried out a hydrogen bomb test. After an earthquake struck near the Punggye-ri nuclear test site, there were rumblings that the quake could have been man-made — because of a similar quake that occurred in 2013 after North Korea really did conduct a nuclear test. 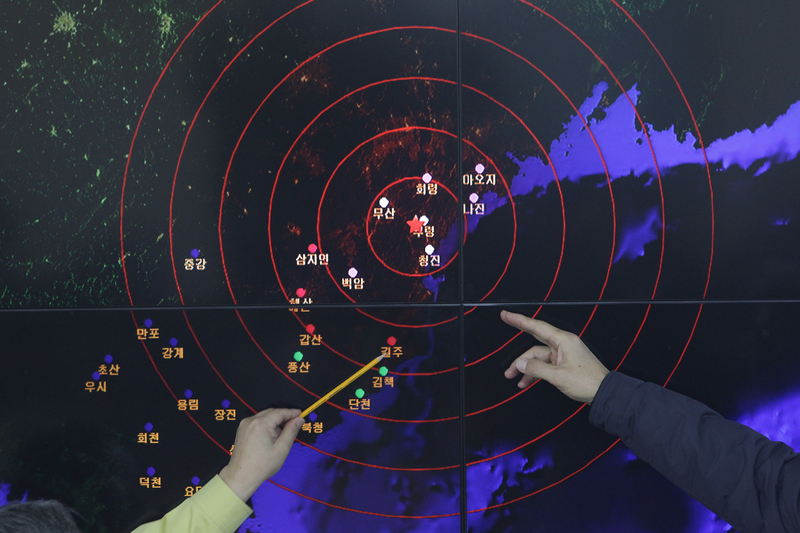 Soon after reports of the earthquake came out, North Korea announced a "miniaturized" hydrogen bomb test was successful, but that it would only use it if the country was provoked. But now the White House is saying that actually might not be the case. What is true is that North Korea continues to be one of the most isolated nations in the world, and their isolation has only deepened as they've sought to engage in increasingly provocative acts. Whether or not North Korea's claims of a hydrogen bomb test are true — it would be the country's first successful H-bomb test and its fourth nuclear test — countries around the world immediately condemned it, with the United Nations vowing to take new sanctions against North Korea (though they've pretty much ignored the sanctions in the past anyway). The UN Security Council held an emergency meeting after the country declared it had successfully performed a hydrogen bomb test. A statement released by the council called the test a violation of council resolutions, and said it was a "clear threat to international peace and security."